The Performance Factory is situated on a very special location: the former Polaroid factory site in the heart of Enschede, in the De Bothoven district, close to the central station. The former Polaroid factory is owned by the housing corporation Domijn. Domijn joined forces with the entrepreneurs and the municipality of Enschede to breathe new life into this unique location. 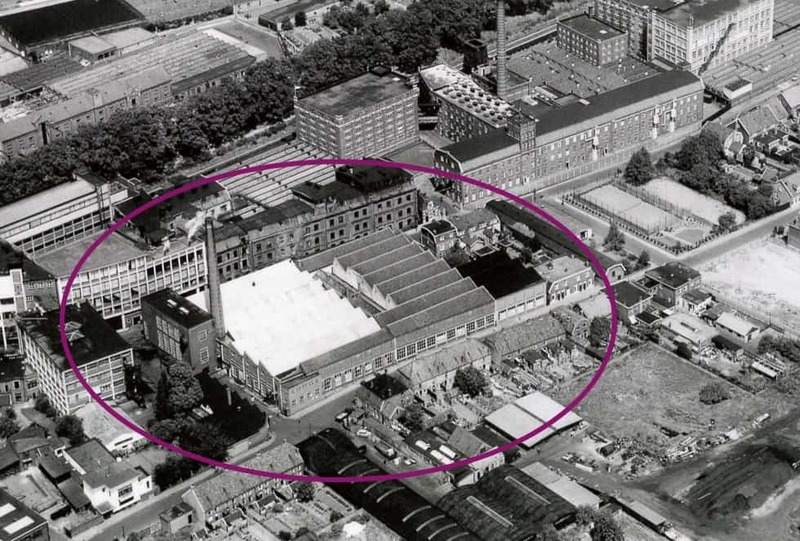 The Performance Factory consists of four buildings: the Oost (East) building, Zuid (South) building, Noord (North) building and West (West) building. There’s a lot going on at the Performance Factory! Check out our Facebook page for a full list of activities and be sure to visit soon! 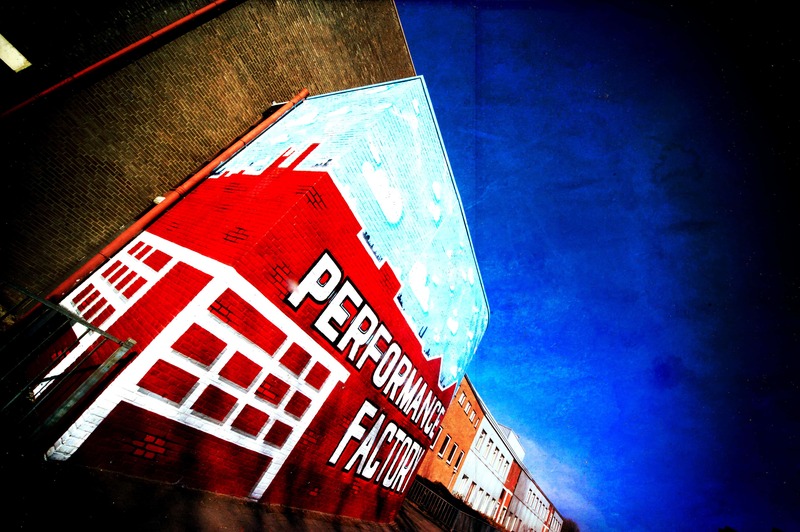 The Performance Factory is situated on the former Polaroid factory site in the heart of Enschede. Initially, the factory was a backdrop for Twente’s prosperous textile industry. Later, it was used to repair Polaroid cameras and produce instant film. The current site still exhibits many influences and traces of the past. The grand old chimney is one example thereof. Another is the beautiful façade with original brickwork. Then there’s the traces of charcoal in the spot where people used to stoke the old chimney. What makes the Performance Factory unique is that it follows a growth model rather than a set-in-stone master plan. The Performance Factory is taking shape through the efforts of the partners, entrepreneurs, and residents. This cooperation creates added value and allows commercial and non-commercial activities to complement each other. The following participants have been involved with the development of the Performance Factory from the outset: Het Stedelijk Lyceum, Innosport, Muziekschool Twente, Pro-F, Radar Elixer, Skatepark De Fabriek, SPASS, Stichting ArTwekkelo (SART), housing corporation Domijn, and Cube Bouldergym. Since then, many more organisations and businesses have joined. Our clients: the Performance Factory is for everyone, young and old. We focus on Enschede and environs and we like to involve people from the surrounding neighbourhoods. Organisations and businesses: in all shapes and sizes, from large to small, from start-ups to established companies. They lend strength to each other while giving each other room to grow. They are involved in community activities and contribute their fair share. They are the new ambassadors for the Performance Factory, and together will ensure that the concept continues to grow. The former Polaroid factory is a unique location. With its industrial appearance, it creates a great atmosphere that inspires people. It is located in the heart of Enschede, near the city centre and central station. The Performance Factory will be part of the beating heart of the Bothoven district, which will socially and physically link the surrounding neighbourhoods.